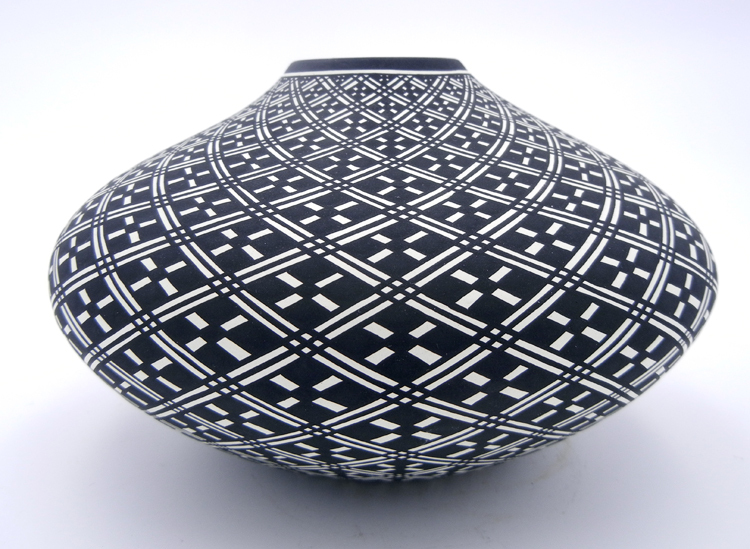 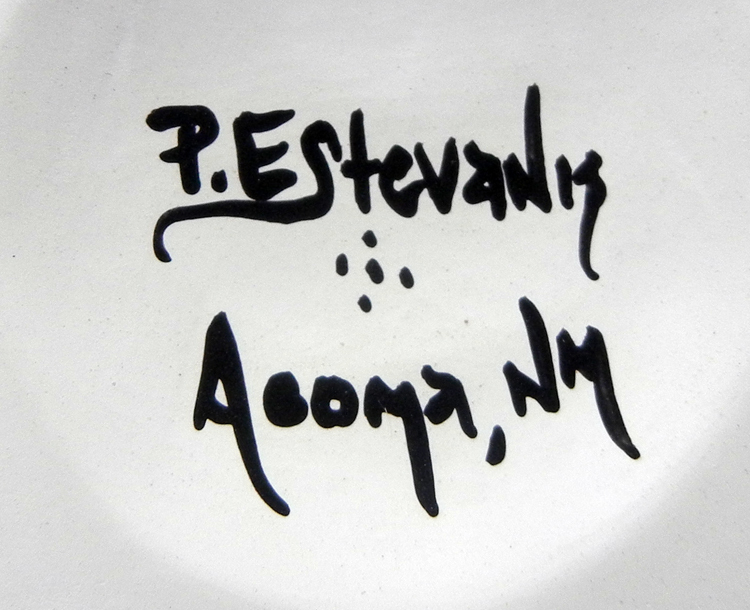 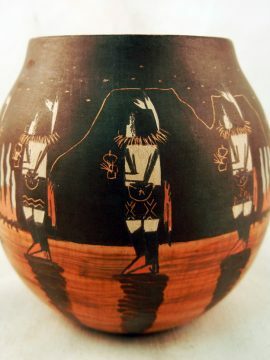 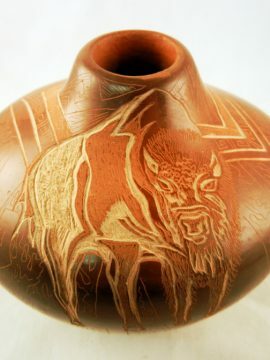 Painted with deep complexity and mind blowing attention to detail, this gorgeous seed pot by Acoma potter Paula Estevan displays both elegance and symmetry in black and white. 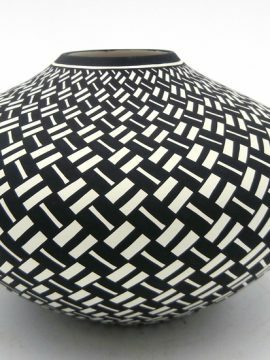 The piece showcases hand painted, repeated black and white patterns painted along the entirety of its surface, beginning just below the rim in a very fine, tight pattern, then extending larger as the design approaches the piece’s inflection. 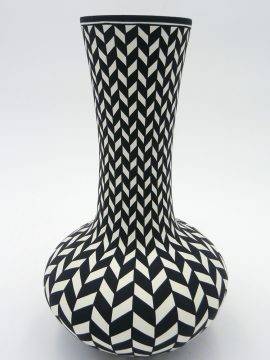 Patterns again begin to graduate smaller toward the bottom of the piece, creating patterns within patterns and, as the name implies, dazzling the eye. 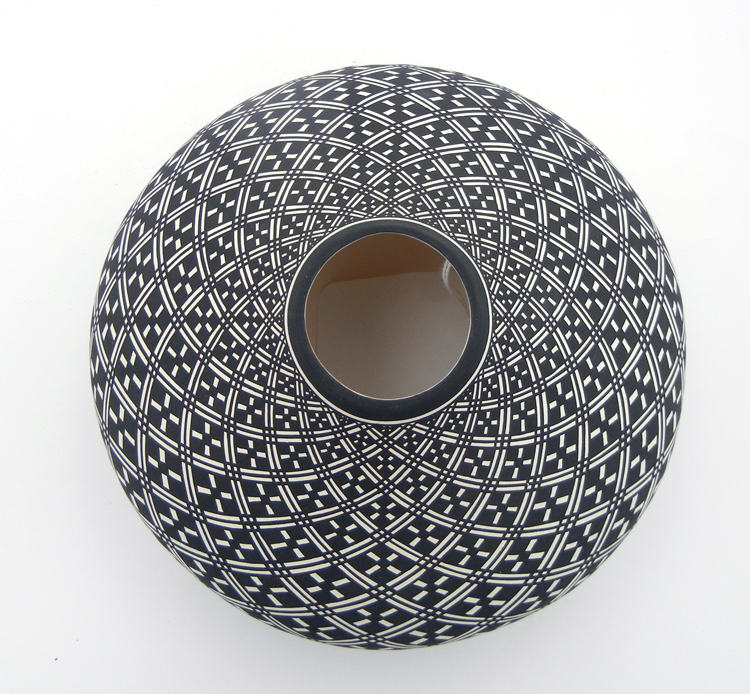 4″ tall x 6 1/2″ wide.